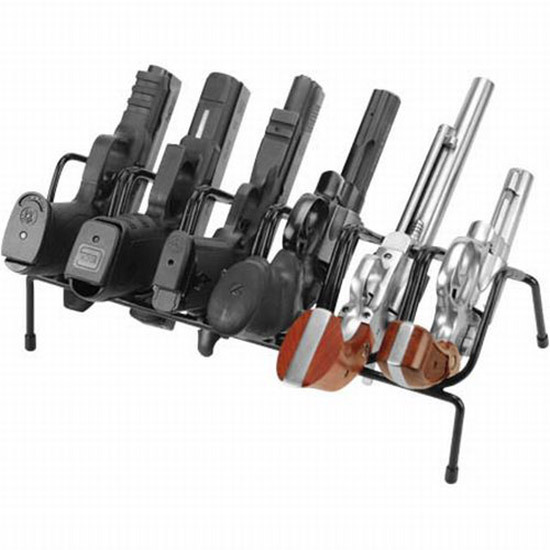 This vinylcoated metal handgun rack holds up to 6 guns. Extremely handy for use in your gun vault or at the shooting range to provide a safe place to rest pistols and revolvers. The individual channels are specially designed to cradle the grip and barrel of the gun and are wide enough to accommodate most wide body pistols or magnum revolvers.